Nikon 55-200mm VR, mounted on a D1, attached to a Caidoz. I love my Nikon 55-200mm VR. It is one of Nikon's cheapest telephoto zooms, and an inexplicably good one. This lens will work great on every small-sensored (DX) Nikon digital SLR, all the way back to 1999's Nikon D1. Full frame digital SLRs can crop to the DX area, but you don't want to do this. It sort of works on 35mm cameras at the 200mm end, on cameras that can drive AF-S lenses, but you don't want to do this either. It takes 52mm filters, the same as Nikon's other cheapskate lenses (50mm f/1.8D and 18-55mm). Shot with a Nikon D1 and Nikon 55-200mm VR at 200mm, ISO 200 and f/7.1 at 1/200. On a 1.5x-crop (DX) sensor, it's equivalent to an 83mm-300mm lens. In the real world, this means that you use it more-or-less as you would a 70-300mm on a film camera. Curve. Nikon D2H, Nikon 55-200mm VR at 200mm, 1/200 at f/7.1 and ISO 200. The 55-200mm VR's hood, shown attached and reversed on the left, attached normally on the right (spot the mud! I abuse this lens much more than I should). The hood pings off if you whack it against something solid, as I have. This is good; it's better for this to happen than for the force to be transmitted to the lens, which would break it. You don't really need the hood, because flare is very well-controlled; this is mostly useful for making the lens look much bigger (and thus more serious) than it really is. This lens is cheap and made of plastic, and feels like it. It's a perfect match with Nikon's cheapest lightweight cameras. It feels a bit silly if you use it on a heavy professional camera like a D2H. I've shot it in the rain, splattered it in mud, and whacked it on a solid object once, and it survived. Don't expect to be able to abuse this lens too much. I get away with it because I'm a rare and fortunate combination of stupid and lucky. Like everything else, the zoom ring feels as cheap as it actually is. The manual focus ring is too small and too poorly damped for manual focus. I don't mind this. You're probably not manual-focusing, and if you are, any AI, AI-S or even Series E lens feels much better, so get one of those instead. Stripes. Nikon D2H and Nikon 55-200mm VR, 1/160 at ISO 200 and f/6.0. Autofocus is very slow. 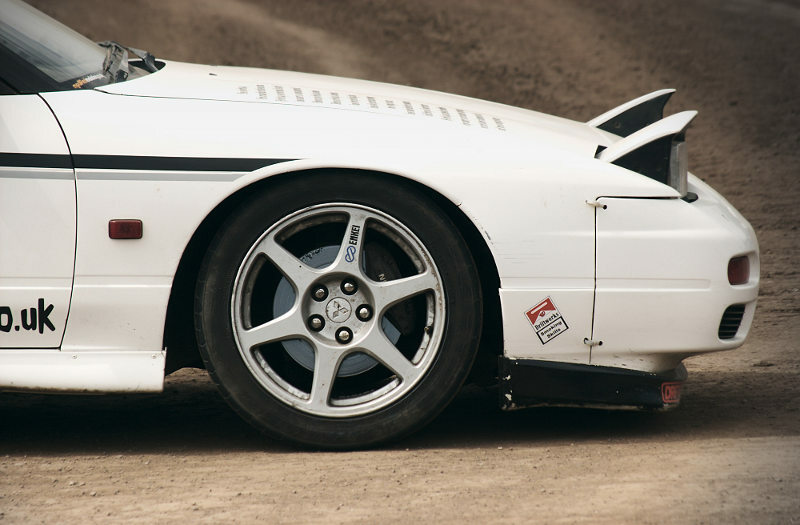 Get something else for motorsports or anything else that moves quickly. It's accurate, when it actually finds focus. Unfortunately, I often run into situations (usually when zoomed to 200mm) where the camera gets very sad and refuses to find focus. I've noticed this on four different Nikon digital bodies, going right back to 1999's D1. It is a problem either with the lens or with a large number of them, because I've read many other reports of this happening. No other Nikon lens I've used had this problem. Expect bugs if you buy a cheap lens like this. 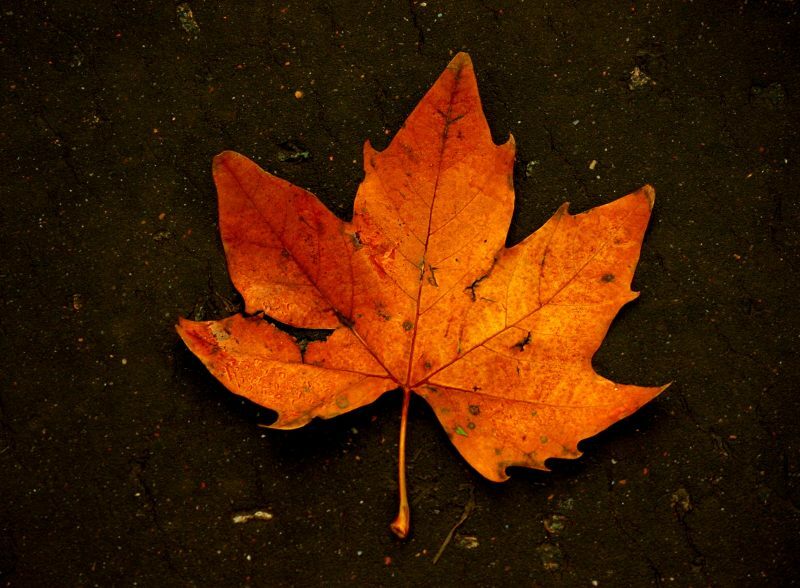 Fallen leaf. Nikon D2H, Nikon 55-200mm VR at 85mm, ISO 200 and f/7.6 at 1/250. The focus ring turns as the lens autofocuses. Keep your fingers off it. The front element does not move or rotate as you focus. This is good. The lens extends and retracts as you zoom, as most zooms do. Bokeh is rather nice; backgrounds disappear wide-open at 200mm, as one would expect. It's especially good close-up! 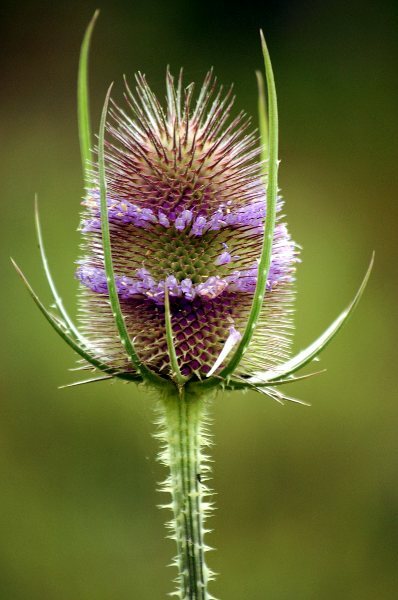 A teasel. Nikon D2H, Nikon 55-200mm VR at 175mm and f/5.3, ISO 200 and 1/125. Note the great close-focus (this only had about 4% of its pixels cropped off) and completely disappeared background! The 55-200mm VR focuses down to 1.1 metres. This is not quite as close as it sounds at 200mm, because 200mm isn't really 200mm when focused at close distances. A true 200mm lens would have a 1:3.2 reproduction ratio at 1.1 metres. The 55-200mm VR is specified as 1:3.45. This is still superb; most people will not need a dedicated macro lens if they have the 55-200mm VR. Poppy. Nikon D2H, Nikon 55-200mm VR at about 150mm, f/4.5 and 1/640 at ISO 400 (forgot to reset my ISO from the previous night). Surprise! The 55-200mm VR, one of the cheapest in Nikon's catalog, is sharp wide-open throughout the focal length range. No lens this cheap has a right to be this good. Of course it gets even sharper as you stop down, being optimum around f/8 as all cheap lenses are. In the real, non-test-chart world, I don't hesitate to shoot this wide open at any focal length, and you shouldn't either. It might be a bit sharper in the edges at 200mm than at 55mm, which is the opposite to most cheap telephotos. You won't notice this in real shooting. S. Nikon D2H, Nikon 55-200mm VR at 100mm, 1/500 and f/11 at ISO 200. You shouldn't worry about this; any other lens at this price (or most things short of a professional f/2.8 telephoto) will have the same problem. The 55-200mm is almost silent in operation. VR makes a very, very quiet ticking noise while it's working, and a very slightly louder click when it engages and disengages. Autofocus sounds like a few pieces of plastic sliding against each other, which is exactly what is happening. It's not as quiet as most Canon EOS lenses or Nikon's other AF-S lenses, but it won't annoy you either (especially if you're photographing motorsports). Vibration reduction, Nikon's anti-shake mechanism built into the lens, is wonderful – which is good, because you'll need it with a lens which is f/5.6 at 300mm equivalent. It's rated at two stops, and the improvement I see in the real world is at least that good, and probably quite a bit better. I've gotten usable shots taken at 1/10 at 200mm, which is insane. If you're shooting anything that moves (even people do this a little in portraits), you'll get bitten by subject motion before the limits of VR are apparent. Another sparrow. Nikon D2H, Nikon 55-200mm at 200mm and f/7.6, ISO 200 at 1/250. There is no focus scale, and consequently no depth of field scale. There is no infrared focus index, which means the twelve people with IR-converted SLRs will want something else. You need to push the A/M switch over to M if you want manual focus; you cannot get into manual focus by simply turning the focus ring as you can on better lenses. Caidoz, V. Nikon D1, Nikon 55-200mm VR at f/5.6 and 116mm, 1/80 at ISO 200, Nissin 360 TW flash at 1/16 power. For about £130, you can't go wrong. Nikon cuts a lot of corners in construction to bring us a lens this cheap with optics this good. I pick nits because I can; that hasn't stopped me from using it constantly in the three years I have had it. It's great for stills and portraits, or wildlife that doesn't move too quickly. Autofocus is too buggy and too slow for serious use for sports and stuff that moves, and being f/5.6 at the long end, it's not so great for shooting anything that moves in low light. Cross. Nikon D2H, 55-200mm VR at 100mm, ISO 200 at 1/90 and f/4.8. If you count every quid and always shoot from a tripod, try and get the non-VR 55-200mm, which for you will be the same thing for about 20 quid less. Nikon's other cheap telephoto lens is the 70-300mm AF f/4-5.6. I don't like it; it has no VR, it's not nearly as sharp as the 55-200mm lenses, it autofocuses about as slow and much more loudly (reminds me of my Minolta 7000 AF), and 300mm is much longer than I ever need on a DX-sensor camera. 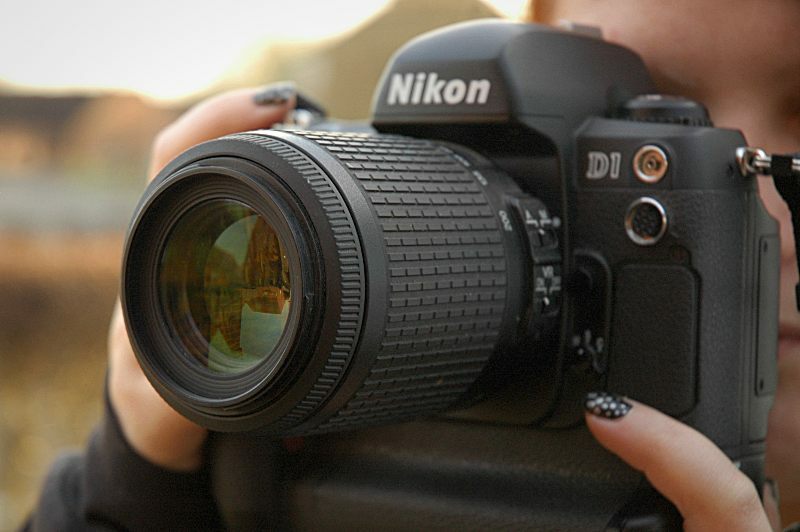 It also won't autofocus on the cheapest Nikons for which the 55-200mm is intended. On top of that, it takes 62mm filters, not 52mm like Nikon's other cheap lenses. If you really need 300mm (450mm equivalent on DX) then do what you have to, but you won't regret the extra few quid for the 55-200mm VR if you don't. The above lens which I don't like is not to be confused with the AF-S 70-300mm, which does have VR and autofocuses very quickly. If you need fast AF for sports, you'll want this one, for just about three times the cost of the 55-200mm. If you're shooting still subjects stopped-down from a tripod and have a camera that meters with manual-focus lenses, the Series E 70-210mm f/4 works about as well, costs a little bit less, and is about as sharp at f/8.